Salutations, and welcome to High Marx, where we take a look at the most prevalent issues in American and global politics through various lenses of classical philosophy. It’s a high powered crash course in history, philosophy, and current events that’s sure to help you get the highest marks the next time you need to participate in intellectual discourse. If you asked people to classify the American political system, you would get a lot of different answers. Democracy, republic, oligarchy, aristocracy? All of these have some level of cultural relevance, but what the American government is, at its core, dates back over 2,300 years ago. 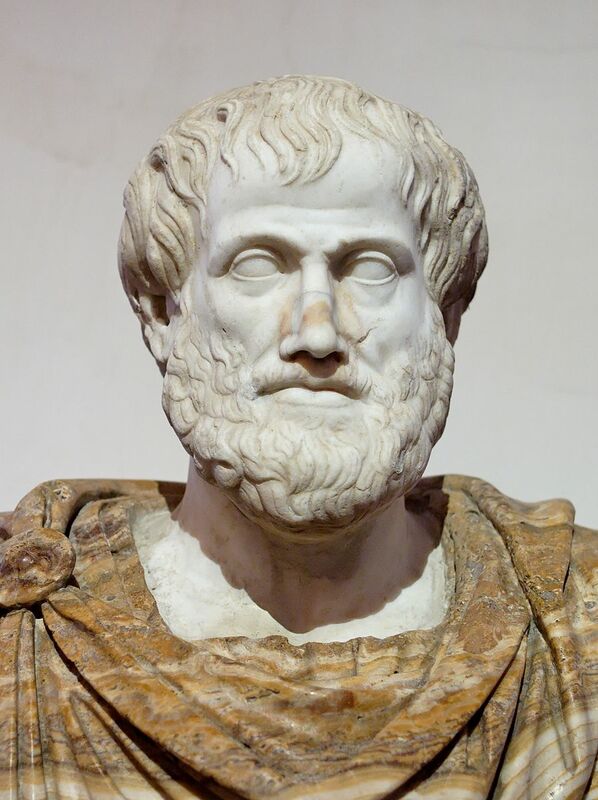 Our good friend Aristotle, who I unabashedly idolize, wrote a series of books called “Politics.” In the collection, which has since been turned into one fascinating book, Aristotle delves into questions of the state, including what makes a state successful and how a state’s success can achieve happiness for its citizens. He does so by describing the various types of government and their derivative systems, namely monarchy, aristocracy and polity. Each of these forms could degrade into something further from the functional purpose of government. Monarchy was prone to falling into tyranny, aristocracy often degraded into oligarchy, and polity — an ideal government ruled by the middle class for the interests of all — would dilute into democracy. Yes, Aristotle believed that democracy was a threat to the stability of a government, accusing democracies of being polarized societies that lack equality. Fair point. But that brings us to a much more fundamental question: what is the purpose of government? While my libertarian peers might postulate that government serves no purpose whatsoever and humanity might be better throwing off the yoke of civilization for the charm of a simpler time, I — despite how appealing that might sound in the abstract — will have to decline. But for argument’s sake, let’s assume that government does serve a purpose, and that without it, humanity wouldn’t be doing as well as it is now. Homo homini lupus est, man is a wolf to his fellow man. Presumably, without some form of government, scarcity would drive humanity to destroy itself more than it does already. Books V and VI of “Politics” focus specifically on democracy and the conflict over wealth. Aristotle was of the mind that a polity, a well-kept constitutional government that governs to the benefit of the society, was among the best forms of ruling. Democracy was regarded as a government by the poor under which the rich aristocracy would be taxed heavily, and the previously disenfranchised would be given power. It’s not quite what we think of as a democracy today, which makes it all the more difficult to determine what the United States of America really is. The country was founded, arguably, as a polity with the intention of democracy. The founding fathers were wealthy elites with no intention of granting suffrage to all. Aristotle predicted that polities would dilute to democracies, and that may be applicable to the United States as populism has expanded. But how legitimate is the USA’s democracy? Let’s take a moment to assess what’s been going on over the course of the past 40 to 50 years. The War on Drugs propelled the United States to having the highest incarceration rate on the planet as of 2002. Income and wealth inequality has skyrocketed due to capitalism, becoming the established mode of thinking in neoliberal politics, and Americans’ consumer debt has risen since 2012 and has potential to reach a new high. Executive power has dramatically expanded since the anti-federalism movement in the late 1700s, and this expansion has embroiled the United States in conflict abroad. Criticizing where we’ve been and where we’re going has been standard practice in the United States since before the Alien and Sedition Acts of 1798, but what I’m about to say is somewhat controversial— similar to yelling, “Voldemort” at a Harry Potter convention. If Aristotle thought democracy was dangerous, he might think America was at a breaking point, but not for the reasons he would have thought. Aristotle thought distributing power to the poor would weaken the state, but the United States has been refuting the promise of democracy by not distributing enough power to the disenfranchised. We’ve adopted aspects of oligarchy, aristocracy, and tyranny — not to mention a resurgence of fascism. And if that’s where we’re headed, I’d be the first to forsake my idol. Democracy? Yes, please.